This June, EYOS planned and led an expedition through a broad section of Melanesia, focusing on some of the most remote locations in the Solomon Islands while exploring parts of Papua New Guinea. 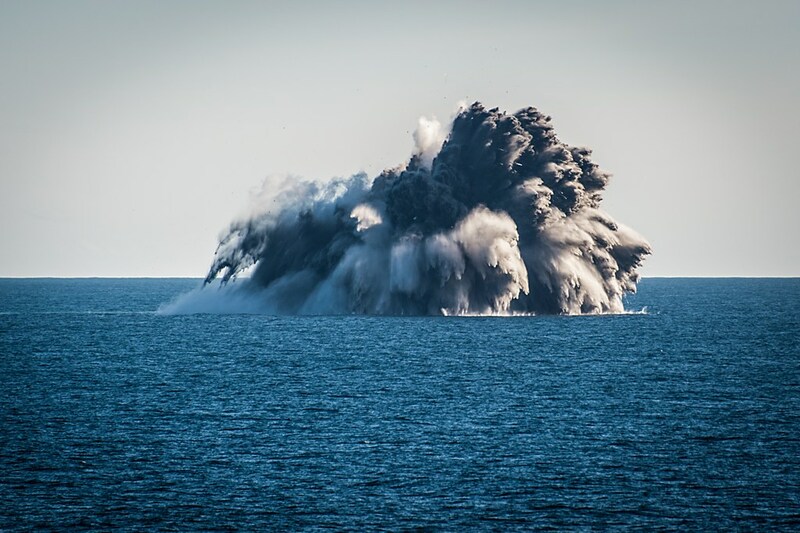 Upon sailing south from Gizo towards Santa Anna in the Solomon Islands, the vessel’s Captain and the EYOS Expedition Leader Richard White decided to see if the submarine volcano Kavachi was active. Kavachi is a stratovolcano with periodic explosive eruptions. It is about 8 kilometres in diameter, rises approximately one thousand meters from the sea floor, and is typically between 20 to 60 meters under sea level. Since its first recorded eruption in 1939, it has occasionally been active enough to produce islands up to one kilometer in length before the ocean erodes the islands away. The planned course took the vessel close, but not too close, to the GPS position of the last reported activity. Richard—known in part for his extraordinary eyesight and ability to sight birds and polar bears from miles away—spotted on the horizon discolored water and disturbances on the surface. As the vessel approached closer, a few large plumes of water broke the surface about once every 10 minutes. 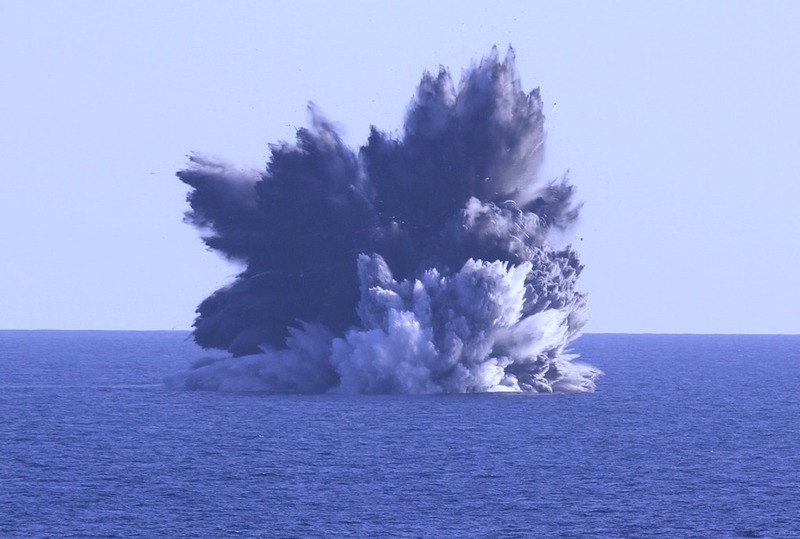 With cameras at the ready, our team and those onboard saw Kavachi erupt at least four times. Just before the ship left, however, was the grand finale. The sea seemed to erupt and a massive plume of water and ash shot high into the air, causing great cheers from those onboard. Kavachi Submarine Volcano in the Solomons erupting. As seen by an EYOS Expedition team member. It was an incredible sight and an extraordinary privilige—to happen to be at the exact spot of the eruption, in the middle of the Solomon Sea, at the very rare, perfect moment when we could all watch a future island being born.